Remember Me? 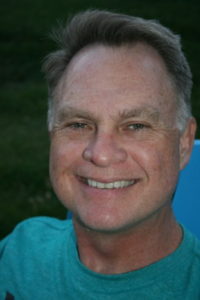 I am Jeff Burns; peace builder between Muslims and Christian in the U.S. I hope you are doing well. I want to humbly apologize that you have not heard from me for awhile. You signed up for my blog, and it seemed like I just disappeared. It was not fair to my readers. I should have told you what was going on. Once again, I humbly apologize for disappearing. I took a hiatus from blogging for a season to work through some difficult issues I needed to resolve concerning my peacemaking journey. Although I took a break from blogging, I did not take a break from my peacemaking. Now that I have worked through some of those core issues I just wanted you to know that you will be receiving regular posts from me again. In fact, I would like to share the processing journey that I went through during my time away from blogging. I believe God wants me to share with my primarily Muslim and Christian audience the good, the bad and the ugly of what it has meant for me to be a peacemaker in the U.S. for the last ten years. First, I would like to share some of the good of my peacemaking journey. I met Omar ten years ago, but it seems like only yesterday. I never dreamed that one encounter would change my life so much. (See the story of Omar at this link: http://jeffburns.org/how-a-muslim-child-saved-an-evangelical-ministers-soul/). I have seen so much amazing, and lasting fruit come forth during this time. I have seen mosques and churches become close friends. I have inspired Muslims, Christians, and Jews to build Habitat homes for the poor, form Communities of Reconciliation, (some groups have lasted for years! ), feed the homeless, share their faith with each other and show the world a better way to be human. But I have, to be honest with you. It has not all been “rainbows and unicorns” (the two things my daughter Olivia loves the most). I have experienced unbelievable spiritual attack and criticism from people and organizations. It has taken its toll. The irony is that 99% of the attacks came from the Christian community. It was devastating at times. My people should have known better. When I first started this work I was an idealist. I had hated Muslims before I encountered Omar, but that meeting with him filled my heart with so much love. I felt like Saul on the road to Damascus. I was breathing out threats and hatred towards, them but I met Jesus on the road, and he showed up as an unassuming little child. I was undone. As time went on and the attacks intensified, I began to move out of idealism. I could tell you stories of wonderful projects we started and how they got destroyed or derailed because my critics put so much fear in the hearts of the churches I was working with. One large church I was working with had a mosque begging to partner with them. It was a historical moment. We were on our way, but the critics convinced the leadership of the church that I was a “heretic” and “enemy of the church.” The project was destroyed, and the Muslims confused. I had to say to the Muslims, “I am so sorry.” My heart was broken. After this happens several times over several years, you begin to move from idealism to disillusionment, to cynicism. This story has been repeated several times. My new processing of this journey has given me a new perspective on what it means to take up your cross and follow Jesus. I understand the pain and the price of being a peacemaker between Muslims and Christians in the United States. Were it not for the love of Christ and the amazing real fruit we have seen I would have, like the apostle Paul, “despaired of life.” Every true peacemaker on the front lines of the Kingdom of God knows what I am talking about. Some of my friends have endured so much more than I have. In spite of these challenges, I have remained a peacemaker. I have thought about quitting for some reasons and concerns, but God will not release me from it at this time. I have moved from cynicism to realism. Recently, I had a conversation with a bestselling Christian author. He told me to go to three people who know me well and submit my struggles and concerns to them. It changed my life. The short version of that story was that I had become cynical like Moses when he got weary of the complaining of his people. God called me to deliver a prophetic message of love to a stubborn people–my people and I got weary and drained from the murmuring, complaining and spiritual attacks. I needed a new “why” and reason for what I was doing. One day during a time of prayer, I believe the Lord showed me that He wanted me to begin to write a series of blogs that would tell the stories of my journey as a peacemaker–not just the good ones but the hard ones and the sad ones. In other words, God wants me to tell the good, the bad and the ugly of my journey as a peacemaker. This new phase of my writing and Peacebuilding is part of finding a new “why” for what I am doing. This series of blogs is not the lashing out of a cynic but the true stories of where I have walked. I believe God showed me that His people, both Muslims and Christians, needed to hear these stories. My goal is hope and redemption for all people of good will and who love Christ. So if you are interested in that journey, by all means, sign up for my blog posts at www.jeffburns.org. Let your friends know about it. Through writing and peacebuilding, I hope to get the message God’s love for all people through the core message of Jesus to younger Muslims and Christians. I believe they are our best hope at this time. I have discovered that Muslims and Christians agree on this core message of Jesus? What is this beautiful core message you might ask? It is to love God with all your heart, love your neighbor as yourself, treat other people the way you want to be treated and if you find enemies along the way do everything within your power to make them your friends.